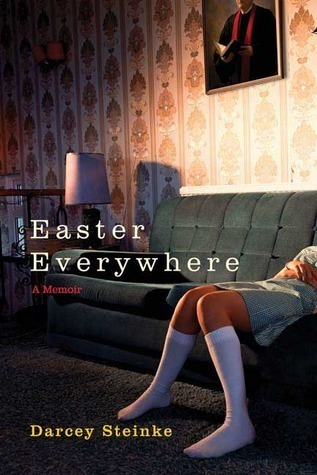 Easter Everywhere by Darcey Steinke. Cover image courtesy of Amazon. For the first few chapters of this book, I wasn't quite sure what to think, but I'm so glad I stuck with it. I picked it up as I rather enjoyed some of her other books and she has a quirky style of writing that is confrontational but poetic at the same time. For a memoir, it's pretty short and a very quick read. Steinke grows up in a home where her father is a Lutheran pastor and her mother is clinically depressed. The mother leaves the family to endure shock therapy but never recovers from the disappointment of what has become her life with her husband and children. It brings up some interesting thoughts and questions about God and people's understanding of who God is and what their beliefs mean to them. Certainly a thought provoking, quirky and interesting read. Do you think using a Kindle takes the 'Romance' out of reading a book? Murder in the First- thoughts on season one? Penny Dreadful - who's watching?